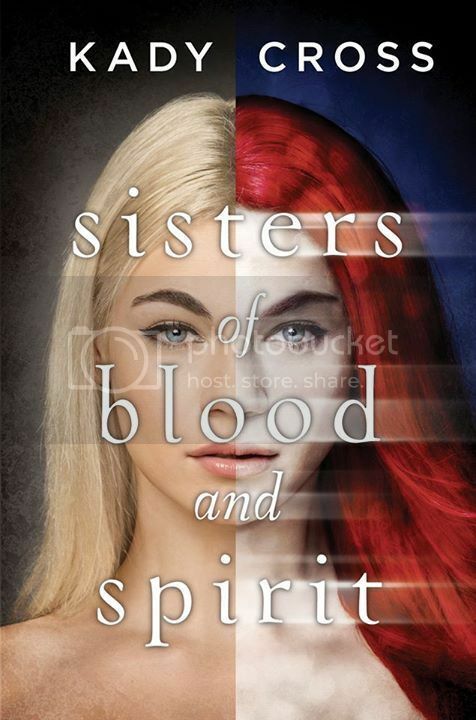 I absolutely could not wait to get my hands on Sisters of Blood and Spirit. I absolutely loved Kady Cross ever since I read the Steampunk Chronicles series, so I was curious to see what she would come up with in this ghost story. I definitely was not disappointed. Lark Noble is the girl that everyone thinks is crazy. Why? Because she can talk to the dead, mostly with her sister Wren, who was stillborn at birth, but who still hangs around to experience as much of the living world at Lark’s side as she possibly can. Lark tries to keep her head down and keep to herself so that she gives people no reason to think she is crazy. But all that changes when a group of kids need her help, especially when they convince her that she’s the only one that can help them. Lark was a really awesome main character, but she’s one that grows on you over time. She’s been through so much in her short lifetime, and has learned the hard way how to be strong. I love how much she loves her sister, and wants to do the right thing by helping her new friends, even when she’s terrified of what could happen. She’s so determined, and I love that about her. Wren was an awesome sister to Lark, and her being a ghost just makes her even more awesome. I love that even though she’s a ghost, she’s still just a part of the gang. The other kids go out of their way to include her, even though they can’t all see her. There are a lot of secondary characters in the book that you will really love, as well as a few you’re not going to love so much. But they are all well written. There is a bit of romance in the book as well, and it was sweet and it definitely doesn’t overpower the book at all. I’m super curious to see where it’s going to go in the next book, and which characters are going to get together with whom. I’ve recently become a pretty big fan of ghost stories, and I love the ones that keep me on my toes. That is exactly what happened with this book. Some parts were intense, and really kept me on the edge of my seat, wondering what was going to happen. There were also a few cringe-worthy moments in the book as well. I loved it. The end of the book came together very nicely, and left with me enough questions that I’m anxious to get my hands on the next book to get answers. I can’t wait to get the next book to see what comes next for Lark and her gang. Overall; I really enjoyed reading this book. 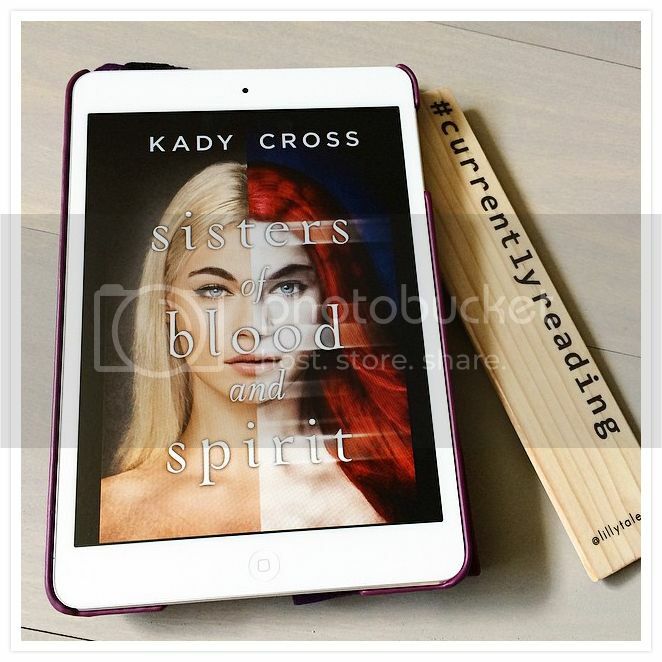 I love a good ghost story, and that’s definitely what I got with Sisters of Blood and Spirit. I am really excited for the next book in the series, as I have SO many questions that I need answers to, and I’m curious to see where the romance goes in the book. Check it out!